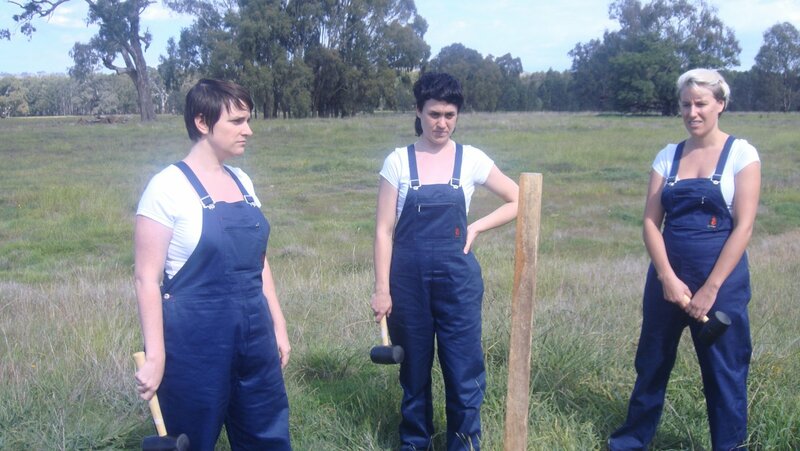 In an endurance piece of performative group work, the four members of Barbara Cleveland take turns to hammer a wooden post into the ground with a mallet. Dressed in identical blue overalls and white tee-shirts the women continue their task silently in a paddock from 6am until 10pm. The tacit collaboration of the team and the calm endurance speaks of women’s work, communality, physicality and dogged persistence. With tongue-in-cheek humour, Dawn to Dusk references performance art and its intertwined history with feminist art of the 1960s and 70s.